The 2nd Annual J.E.M. All Star Classic brought fire to Life Center Academy in Burlington, NJ. This event featured the Class of 2015 stars including Isaiah Briscoe, Karl Towns and others. 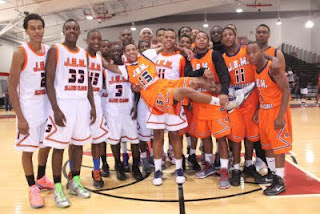 The 4th Annual J.E.M. All Star Classic will take place August 17th at Trenton Catholic High School. Come out and support this exclusive event.